- Maintains relationships with clients by providing support, information, and guidance; researching and recommending new opportunities; recommending profit and service improvements. - Should handle the sales activity such as Demonstration, Negotiation, follow-up proposal making and closure. - Identifying new Prospects, Leads, Partners to expand the market reach & sale of products & services. - Updating the CRM, MIS report, Sales trackers with required data. - Ready to travel across India whenever needed. - Put Product / technical knowledge to commercial use and prepares estimates and tenders in accordance with sales and pricing policy. - 3-6 years- experience in B2B Software Sales or related field. - Bachelor's Degree in Computer Science or IT, MBA a plus. - Excellent communication skills, both written and verbal. 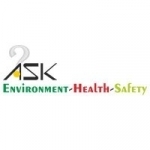 HR Executive at ASK EHS Engineering & Consultants Pvt. Ltd.